Shilpa Shetty Kundra Teaches Us The Simplest Way To Calm Our Mind: Even Better, It Is Free Of Cost! 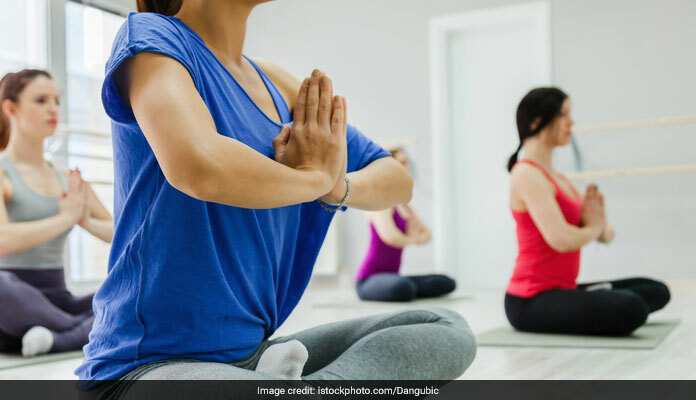 Home » Living Healthy » Shilpa Shetty Kundra Teaches Us The Simplest Way To Calm Our Mind: Even Better, It Is Free Of Cost! Shilpa Shetty's fitness mantra: Breathing is the body's way of releasing these toxins and purifying the respiratory tract. When we do not take deep breaths or breathe properly, the body becomes less efficient at releasing toxins. In her recent Instagram post, Shilpa Shetty lays emphasis on breathing. Bollywood actress and an entrepreneur, the gorgeous diva; Shilpa Shetty Kundra is known as one of the fittest celebrity of the industry. An avid lover of yoga, Shilpa Shetty Kundra has been practicing yoga for several years. Super fit and toned body, slim waistline and constant glow on her face is all because of her love towards yoga. Apart from the several other workouts, the stunning actress always includes yoga in her fitness regime. Her Instagram account is the proof that the actress has a come a long way and has mastered the art of yoga. In her recent Instagram post, Shilpa Shetty lays emphasis on breathing. According to her post, "A calm mind is the best weapon to combat your challenges. So breathe and relax"
Everyone breathes but breathing is something we all take for granted. But why? Breathing is free and effortless. The way you breathe can have a significant impact on your overall health. Turns out, that breathing has several health benefits. It is not something which requires thought nor does it require any type of equipment. The human body deals with a lot of toxins; which is due to air pollution, contaminated water, unhealthy foods and much more. Breathing is the body's way of releasing these toxins and purifying the respiratory tract. When we do not take deep breaths or breathe properly, the body becomes less efficient at releasing toxins. This in turn makes other parts of the body overloaded as they work to detoxify the blood, which often leads to illnesses. When you inhale and exhale deeply, the body releases carbon dioxide, and along with it many toxins. The key to deal with anxiety and stress is to take deep breaths. Breathing helps to release tension in the diaphragm and breathing muscles, which protects you from several respiratory issues like asthma and breathlessness. Deep breathing opens up your chest and fills your body with oxygen, keeps tension at bay, manages the stress levels, normalizes your heartbeat and most importantly makes you feel calm and relaxed. If you suffer from anxiety, depression or panic disorders, deep breathing can do wonders for your health. Moreover, deep breathing activates the parasympathetic nervous system, which helps in bringing us into a relaxed state. Just like any other art mastering the art of deep breathing will not happen overnight. Constant efforts to improve your breathing should be done on a regular basis. You can make this your morning or nighttime ritual to ensure that it becomes a habit. You can do this through practicing specific breathing exercises, monitoring your breathing patterns and focus on powerful and complete inhale and exhale cycles. Just like any other art mastering the art of deep breathing will not happen overnight.